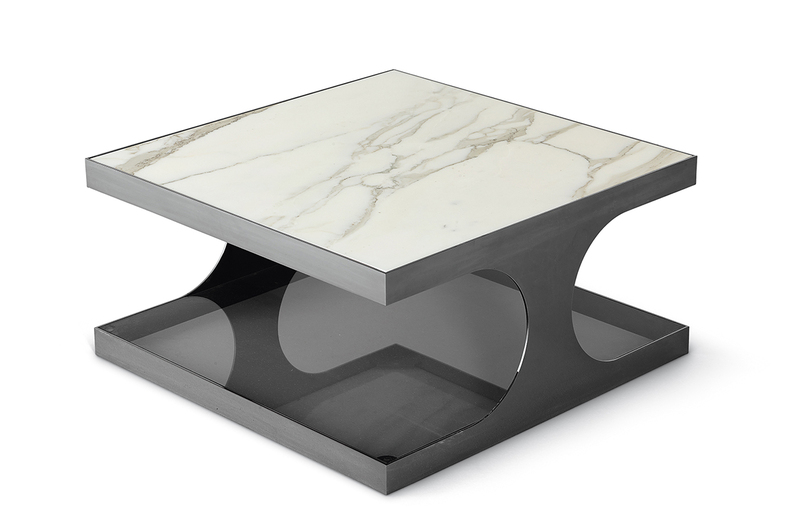 Square coffee / side table with base in metal, top surface in a choice of marbles, and lower shelf in smoked glass. Available to order in a choice of 3 sizes. Marble finish options: Emperador dark brown, nero marqina, or calacatta. Metal finish options: Antique bronze, or polished black nickel.